LIVE BY THE LAW OR DIE BY THE SWORD. 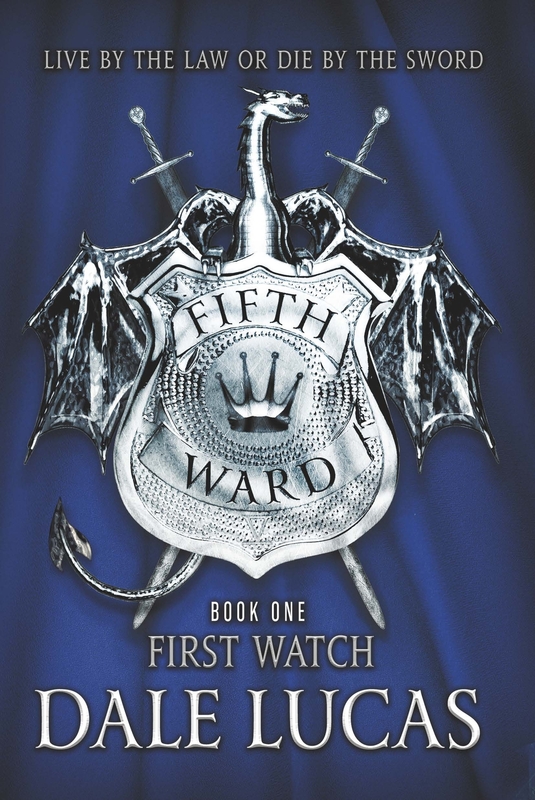 The Fifth Ward series by Dale Lucas gives us a rare glimpse into a fantasy city at a time when a hero isn’t on a journey and a dark lord isn’t threatening to destroy the world. Instead, we meet two reluctant partners on the Wardwatch – Rem, a human trying to escape his past, and Torval, a dwarf with a maul who hits first and asks questions later. As members of the Wardwatch, they’re responsible for keeping the peace in a city teeming with drug dealing orcs, mind-controlling elves, uncooperative mages, and humans being typical humans. The Fifth Ward is every buddy cop movie you’ve ever loved mixed with your favorite fantasy setting. I promise, you are not too old for this sh*t.